What’s the right balance between sounding professional and friendly in your marketing? You’ve got a dilemma: you want to sound professional and authoritative in your marketing materials – but you want to sound friendly too. How do you do that? Is it a document? It looks more like a paper brick. And if that weren’t bad enough, it’s written in Legalese. You know, that special language used by lawyers especially to confuse people. Eurgh. It’s been a long day, and your eyes glaze over every time you try looking at the document. When you do try to read it, you reach the end of the paragraph realising you’ve retained nothing of what you’ve read. Zip. Zero. Not a word. And these dull, dreary documents never get read – not if you can help it. Using jargon and technical terms in a written marketing piece is nearly always a bad idea. You see, if your website is crammed with jargon, your would-be readers will just hit the “back” button till they find a site they can easily skim through and clearly understand. Won’t people think I’m dumb if I don’t use jargon? 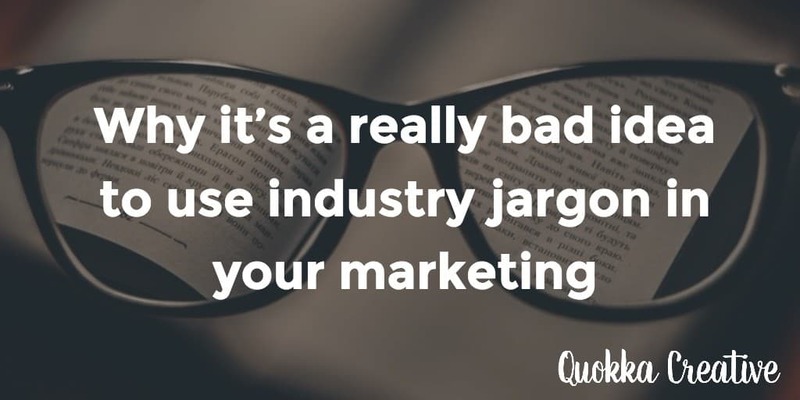 You may be reading this, thinking that in your industry jargon is “de rigueur”. That it’s absolutely necessary. That prospects will look down their long noses at you if you don’t use the appropriate technical terms. If you’re communicating with industry peers, that might well be the case. But most of the time we sell to people outside our industry. And using jargon won’t impress them one little bit. At all. It’ll just alienate them, because they can’t understand a darn word you’re saying. You’ll get far more respect if you speak to prospects in a way they can understand. And the more technical your field is, the more useful that skill that becomes. People are far more likely to buy from someone who can explain complex things in simple, conversational terms. But how far do you go in making your writing conversational? What exactly IS conversational? Does it mean saying things like “yeah, right” and “dude” and other slang or over-familiar terms? You may speak that way... but do you write that way? The answer is to be friendly and conversational – but still professional. But the more you practice, the better you’ll get at using the right tone. And you’ll notice that most of your readers will respond in a friendly-and-professional manner too. Not only will you enjoy email enquiries that are for the most part friendly and professional, your sales will be given a boost too if all your copy is written in this tone. Friendly, conversational writing is easy to read. Which means it’s easy to understand. Which in turn means that it’s easier to remember and retain. Your writing will stick in your readers’ minds. And because your writing is really clear, it’ll mean that the reader is more likely to take the next step that you want them to take. Which can be mighty handy if it’s a sales piece you’re writing, and you’re wanting people to contact you. Friendly, professional writing is clear and easy to understand. It’s a winner for you – and for your readers, whose eyes will no longer be glazing over. © Copyright Quokka Creative 2007-2019. All rights reserved.